Multiple New York and New Jersey police associations have Avery Williamson’s back. 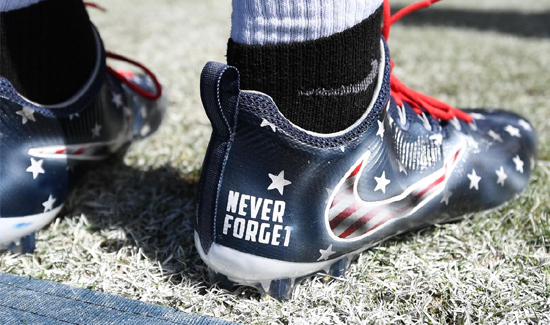 The groups have offered to pay a fine levied by the NFL against Williamson if the Titans’ starting linebacker goes through with his original plan to honor those who died on Sept. 11, 2001, by wearing custom patriotic cleats during the team’s season opener against the Minnesota Vikings on Sunday, the 15th anniversary of the 9/11 terrorist attacks. Williamson’s plan changed when a league representative called to inform him about a looming fine for violating uniform code. “The PAPD is the police department that has always patrolled the World Trade Center complex. On September 11, 2001, the PAPD lost 37 police officers at the World Trade Center, the largest, single loss ever suffered by a police department in the history of American law enforcement.